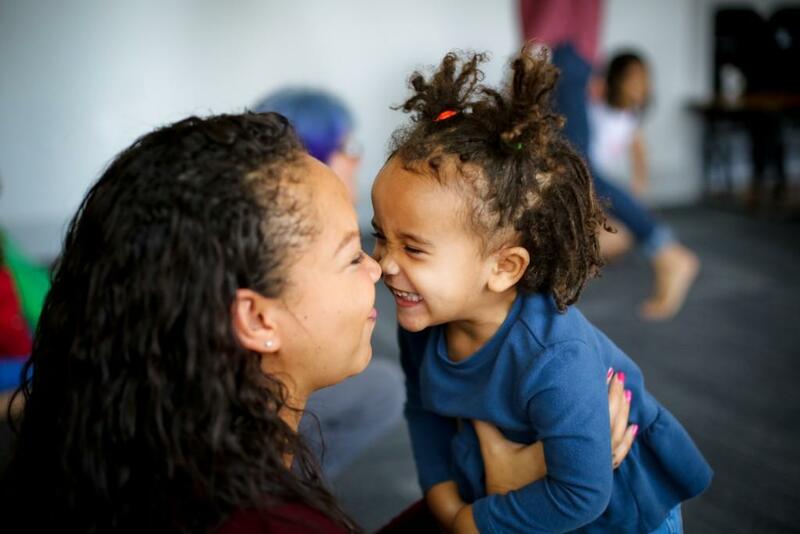 This music-filled class celebrates the unique joys of your growing child. Each week your child will love singing, dancing, and playing instruments with you and her new friends and you'll love helping her practice a wide variety of abilities such as gross and fine motor skills, turn-taking, social skills, and active listening. In class, we'll also share tips and ideas for using music throughout the week. Plus, the fun (and learning!) continue with the Kindermusik home materials. Class Length: 45 minute class each week. Classes begin the week of January 13th. Miss a class? No worries! We have unlimited makeups! Cost: $65, register with a deposit of $15 and pay remaining balance at first class. Session 1 Theme: In this unit, we’ll roll up our sleeves and get right Down on the Ground and take a good look around. We’ll engage children’s natural curiosity as we hop like bunnies, scoot like caterpillars, scurry like squirrels, and even do a certain, familiar spider fingerplay. Meanwhile, you’ll broaden your own vision, and foster a child’s natural curiosity! Session 2 Theme: Young children can go from happy to upset—and then back again—in the blink of an eye! Understanding and managing emotions can be complicated, but using music to explore and identify different feelings, their causes, and how we can navigate them, can be useful (and even fun)! Come explore all the answers to How Do You Feel? Miss a class? No worries! Make-up a missed classes anytime all summer! Take a sneak peek into the classroom here! Wed at 11:15 AM starts 1/16/19 Monthly Unit 2.5-3.5 Ms. Michele Dawson Music Academy $256.00 Register! Thu at 11:15 AM starts 1/17/19 Monthly Unit 2.5-3.5 Ms. Kendra Dawson Music Academy $256.00 Register! Wed at 11:15 AM starts 9/11/19 Monthly Unit 2.5-3.5 Ms. Michele Dawson Music Academy $195.00 Register! Thu at 11:15 AM starts 9/12/19 Monthly Unit 2.5-3.5 Ms. Kendra Dawson Music Academy $195.00 Register! Mon at 11:15 AM starts 9/9/19 Monthly Unit 2.5-3.5 Ms. Karyn Conservatory of the Arts $195.00 Register! Each family will receive a book with a new CD very four weeks.